Isn’t it about time that camping should be easy? 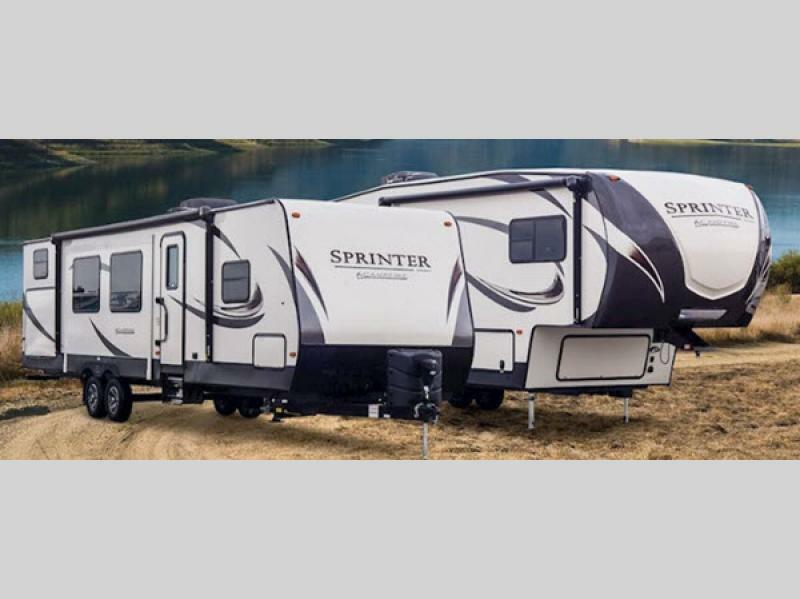 With the Sprinter Campfire Edition RV, it can be! 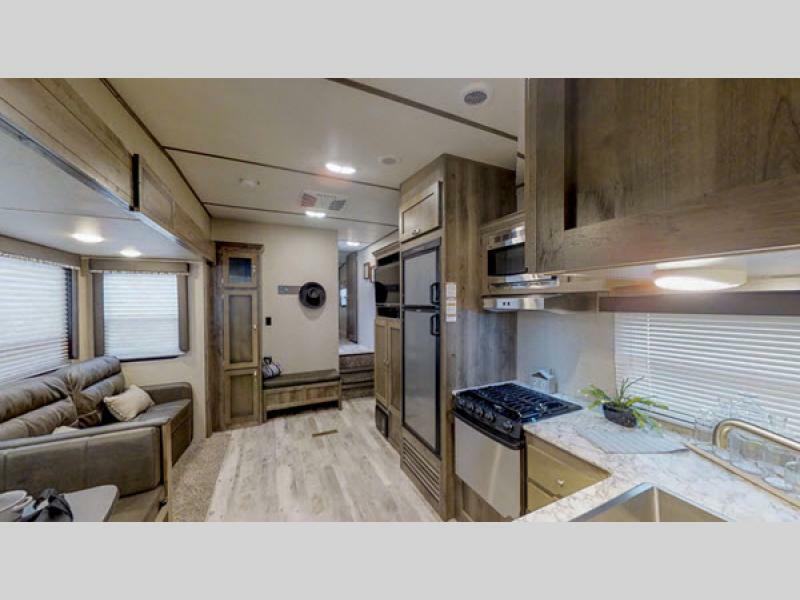 Our Sprinter Campfire Edition review will highlight only a few of the many perks this luxury travel trailer or fifth wheel features, so make sure to explore everything it has to offer! Let’s start off with the basics. 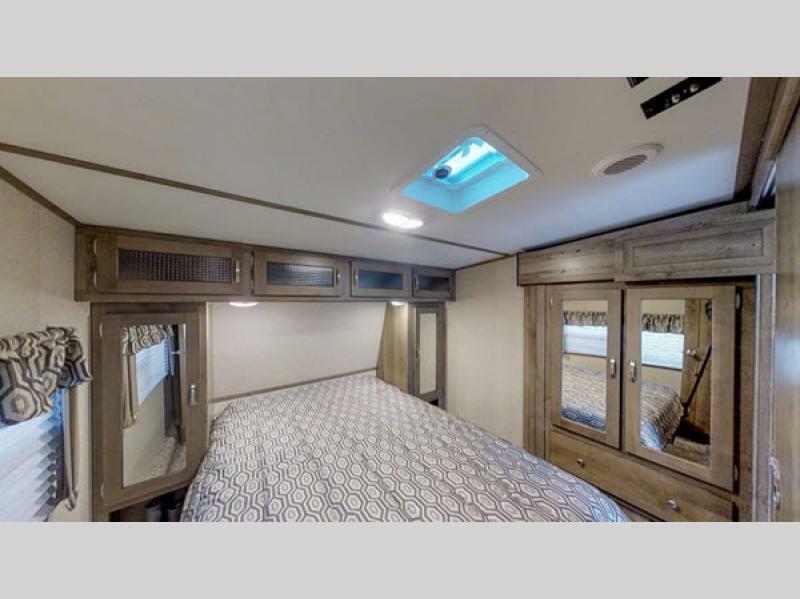 Our Sprinter Campfire Edition RVs for sale include a limited three year structural warranty, so you can confidently and safely get on the road. The in-floor residential heat ducts will keep you warm even in your cool weather travels, and color-coded wiring gives you convenience and ease. Every model is also prepped for solar, a backup camera, and WiFi. Whichever Campfire Edition you choose, you’ll love the options and ability to customize your included features! Choose a model with a king bed, bath and a half, or bunk house. Sleep 5 to 8 comfortably wherever you go! We’re certain this Campfire will make for the easiest camping trip you’ve ever had, so contact us today if you’re ready to check out its full features or compare floor plans!